Francis George. 2013. Oil on Panel. 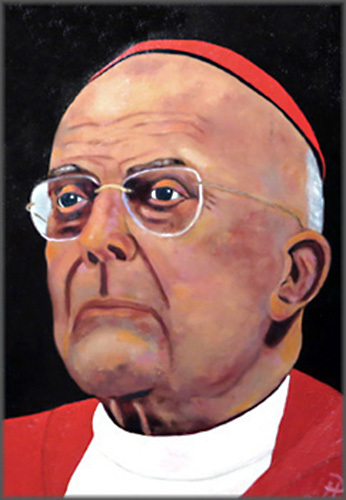 Past ArchBishop of Chicago. past many barriers to achieve his position. Francis Xavier Cabrini. 2013. Oil on Panel. Not from Chicago, but put in great effort making the city livable for the immigrants. 1st American saint, her national shrine is in Chicago.